This heel matches with any kind of outfit and looks stylish when worn. Since these heels are not too high, it can be worn by elderly people as well. Commonly referred as “young girl stilettos” these heels will never go out of trend. 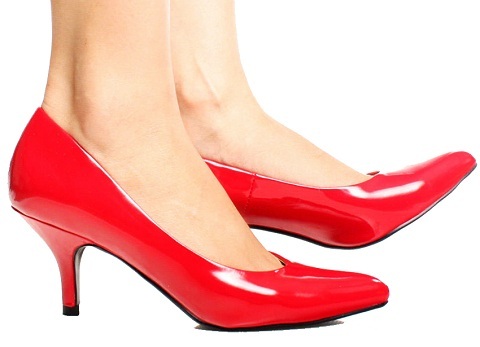 These are typically the highest heels, measuring up to 8 inches maximum. These are very thin and steep and can be difficult to carry. When we talk about the fashion world, stilettos are the most widely chosen heels amongst celebs and youngsters. Compared to stilettos, these heels have a wider square type base. The chunkier base at the bottom offers more space and comfort when you walk around. Designed mostly in medium length, you can pair it up with your denims, evening gowns or chic dresses.